TALKstillCHEAP, A Dose of Reality! In a world where social media reigns king and reality TV reigns queen, its easy to give our attention to people and situations that don’t really matter. Let's put our critical thinking skills and abilities to serve others to good use, because TALK IS STILL CHEAP!! Kat Stacks SLAPPED: When is it ok to hit a Woman? Is it ever okay to hit a woman? If so when? Why? Where? How? You may or may not be familiar with Kat Stacks. She is has been called the "Super Head" of this generation, but perhaps more extreme . She is not writting a "Tell All Book" (at least not that I know of), but she publicly ,via online/internet, reveals the details of sexual rendezvous she has or have had with celebrities. She has even gone so far as to publicly announce the cell phone numbers of several artists/celebrities (whom's names I will not reveal). Her twitter account has been hacked and deleted several times, and she has been called out by several of these people and called everything under the sun, but her name. She has recently found "Fame" through these mishaps. Even so.....watching this video, how do u feel? A lot of people seem to think she got what she deserved. I am shocked!! A public venue & no one came to her aid? Better yet the young gentleman she was dinning with, said or did nothing. I don't know who is more disgusting...the people who planned the attack, the attacker, the person who filmed it, or the guy who walked away as the event took place. I'm sure your momma told you to never hit a woman (unless of course its life or death of some sort). Physical abuse is WRONG in any form, shape, or fashion. Oprah talks about it all the time, because so much of it goes unreported & so many victims are silenced. They are silent due to events just like this, where people think a woman "DESERVED" what she got. The story is deep, I won't go into detail. You can find specifics for yourself via twitter & Kat Stack's blog, I'm sure. 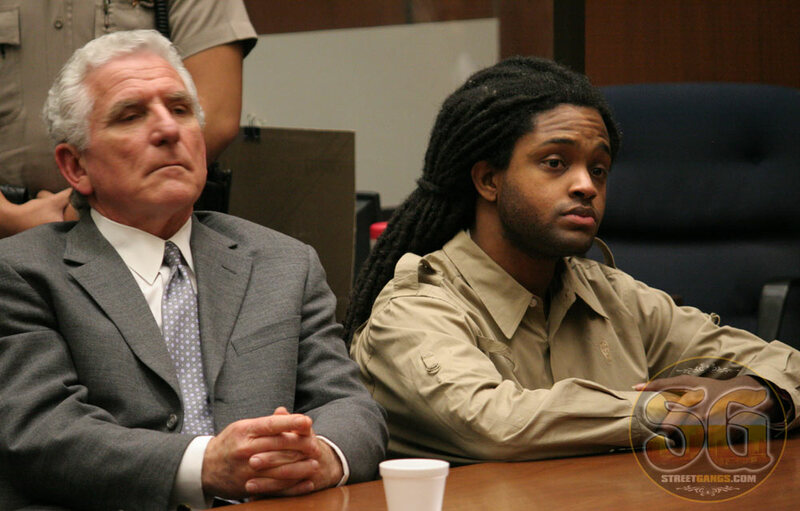 On Friday May 21, 2010 Aubrey Berry 24, was found not guilty of all charges against him, in the murder trial of Atlanta based rapper, Dolla (real name Roderick Burton, age 21). Berry was acquitted of 3 charges, 1st degree murder, 2nd degree murder, and voluntary manslaughter. You may remember the incident that took place last year, May 2009. 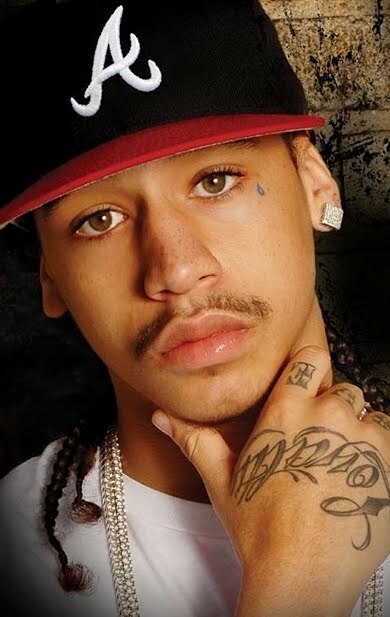 Dolla was shot several times in the parking lot of the Los Angeles, Beverly Center (mall), he was later pronounced dead at a nearby hospital. Berry was apprehended by police at LAX (L.A. airport), attempting to flee Los Angeles and was found with a loaded gun. Berry would plea not guilty and claim self-defense in his trial. The trial lasted 9 days and the jury deliberated for 2 days, before finding Berry not guilty on all charges. Below is a video, courtesy of streetgangs.com who had a representative present in the courtroom during the trial. I believe the justice system, in this matter, did prevail. Every suspect is assumed innocent until proven guilty. Can we all agree on that? In order for a defendant to be found guilty in CRIMINAL court, a jury must reach a unanimous decision that a crime was committed BEYOND A REASONABLE DOUBT. This means that upon review of the evidence, lack of evidence, and testimony in a trial, a juror uses common impartial (un biased) reasoning to determine that WITHOUT A DOUBT, MORE LIKELY THAN NOT, WITHOUT SECOND GUESSING THEIR DECISION, WITHOUT HESITATION a person is guilty of committing the crime at hand. This does not necessarily mean that they are totally certain, but it means that with a high level of confidence in their reasoning, a juror has reached their verdict. So, on the contrary this means, that if a juror has any doubt or is not completely sure or convinced that a crime was committed then they must find the defendant NOT GUILTY. It is the duty of the lawyers (prosecutor/defense) to present the BURDEN of PROOF (evidence/arguments) for their claims of guilty or not guilty. Unfortunately (for the family of the victim), in this case it does not seem that based on the evidence, lack of evidence, and testimonies during the trial that one can conclude WITHOUT A DOUBT that Berry did not feel threatened and that he definitely planned to go to the mall and kill a person in broad day light. How did you feel about the outcome of this trial? FAIR OR UNFAIR? Do you think justice was served? There is so much more to this trial, visit Streetgangs.com for more complete coverage on the entire trial. We Gone Be Aight!! No Experience, NO Problem tee!! Like what you see? Donate to keep the Blog going! Advocate for social change & IM PASSIONATE about how I feel. I like to discuss subjects of social relevance. There are two things I believe in strongly, everything happens for a reason (manifest destiny) and We do NOT because we KNOW NOT (Knowledge is Power). I am a Spelman College Alumna and also hold a Juris Doctorate. I see how some things in my generation could be better. Lets all talk about it. Discussion encourages critical thinking, which fosters new ways of thinking and the creation of ideas. Like a Dj breaks artists & music, I BREAK people! Know someone OUTSTANDING? Contact me. Subscribe here to be notified of new posts!